NEW YORK (AP) — Mahershala Ali’s life changed in more ways than one the week of the 2017 Oscars. Four days before he won best supporting actor for his performance in “Moonlight,” his wife, Amatus-Sami Karim, gave birth to their first child. “When I won, all I could think about was: I just want to get home,” Ali says, grinning. It was clear enough: Here was no flash-in-the-pan. Here was a journeyman actor of uncommon grace and dignity. And Ali’s phone started ringing. Ali still harbors larger aspirations, like playing boxer Jack Johnson, but this fall has provided some of the answer. 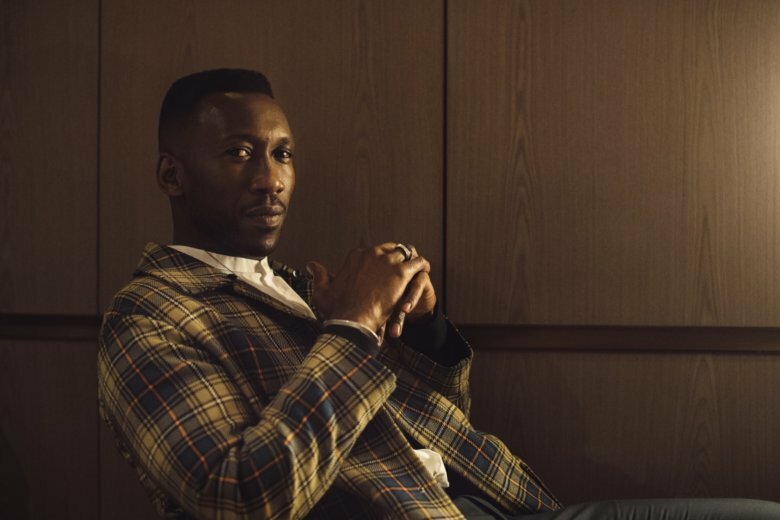 Ali stars in Peter Farrelly’s road-trip drama “Green Book” and headlines the upcoming third season of HBO’s “True Detective.” And “Green Book,” now in theaters, has again catapulted Ali to the top of the supporting-actor contenders. Many believe he’s in line for another Oscar. But this time, the road has been rockier. “Green Book,” brisk and modest, has won raves from some critics and many audiences as a feel-good story about the real-life friendship that developed when the refined concert pianist Don Shirley (Ali) hired a racist Bronx bouncer, Tony Lip (Viggo Mortensen), to drive him on a 1962 tour of the Deep South. But the film has been criticized by some as an outdated, sentimentalized kind of movie, one that trades on racial tropes , perpetuates the “white savior” cliche and isn’t deserving of its namesake (a travel-survival guide for African-Americans in the Jim Crow South). Ali grants “Green Book” is a portrait of race in America unlike one by Jenkins or Amma Asante or Ava DuVernay. But he believes the film’s uplifting approach has value. “Green Book” was hailed as an irresistible crowd-pleaser and a major Oscar contender after its September premiere at the Toronto International Film Festival, where it won the festival’s audience award . (And every film in the last decade to win that prize has ended up a best picture nominee.) But the $23 million-film has struggled to take off at the box office, earning $8.3 million in two weeks. Universal Pictures still has high hopes. Audiences gave it an A-plus CinemaScore and the National Board of Review on Tuesday named it the year’s best film . Still, along the way, Ali has heard the complaints about “Green Book.” He disagrees. Yet the debates over “Green Book” have put Ali in a plainly awkward position, particularly when Mortensen used the n-word at a Q&A for the film while discussing the slur’s prevalence in 1962. Mortensen quickly apologized , saying he had no right, in any context to use the word. Ali issued a statement, too, in support of Mortensen while firmly noting the word’s wrongness. Ali first got to know Mortensen on the awards circuit two years ago, when Mortensen was nominated for “Captain Fantastic.” The film rests on their relationship; that it works so well is a testament to their chemistry together. When cast, Mortensen’s first question to Farrelly was who was going to play Shirley. Ali grants he shares Shirley’s own fastidious nature (“I would say within reason,” he says, smiling). Farrelly adds that Ali’s precision had a hugely positive effect on “Green Book,” especially in shaping the portrayal of Shirley. “I wanted to make sure Don Shirley was equally if not more empowered,” Ali says. The actor suggested tweaks and changes to deepen the pianist’s pain at, like Nina Simone, being denied a career in classical music. Farrelly, best known for his broader comedies with his brother Bobby (“There’s Something About Mary”), also defended his film. Ali has his own kind of optimism for “Green Book” and its place in a larger conversation.